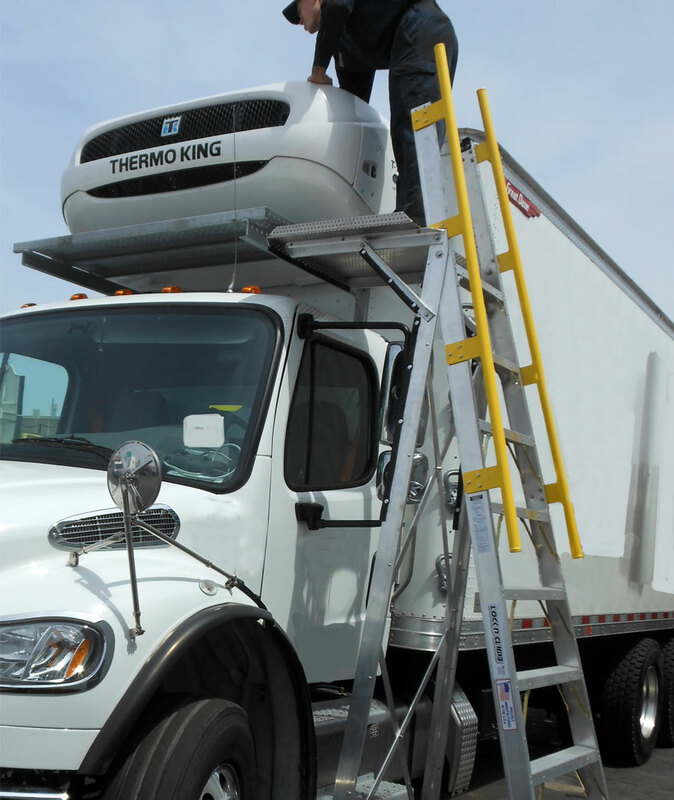 Ergonomic Safety Ladders Help Reduce Workplace Accidents and Injuries During MRO Service. 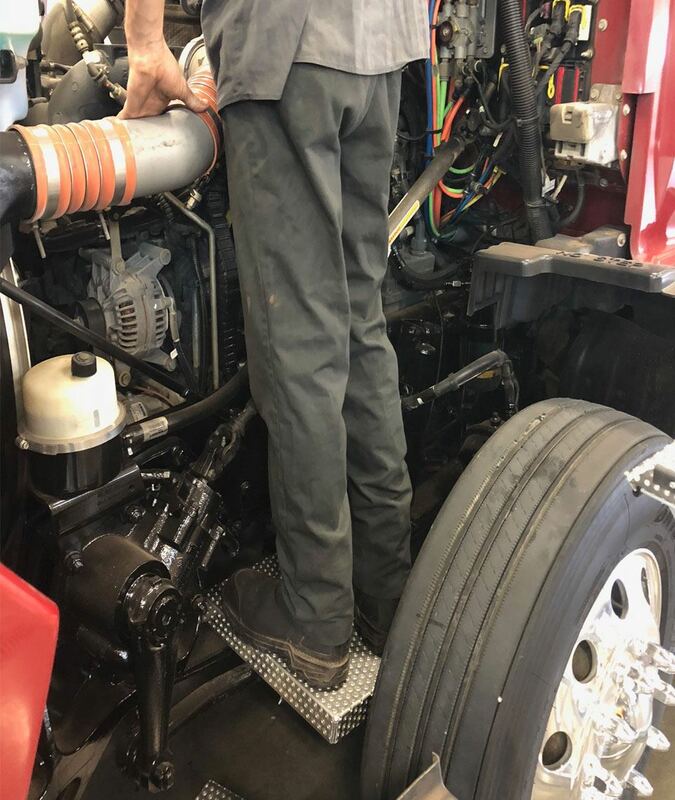 Standing on slippery tires or struts to service engines can result in expensive accidents or injuries. The good news is, you don't need to do that anymore! 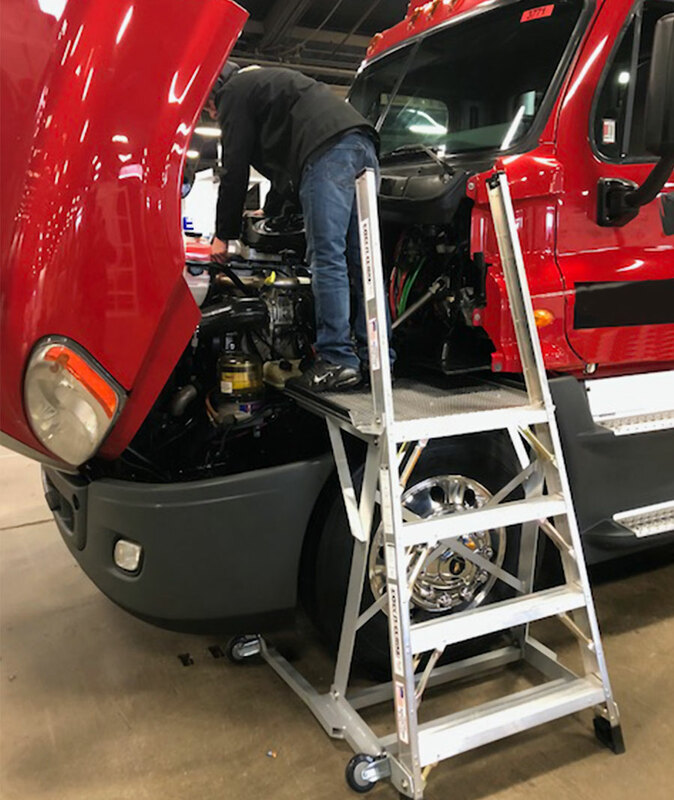 LocknClimb’s MROTRUCK ladder provides a wide stable platform, allowing mechanics to service engines, replace windshields, running lights and reach other maintenance points safer and easier. 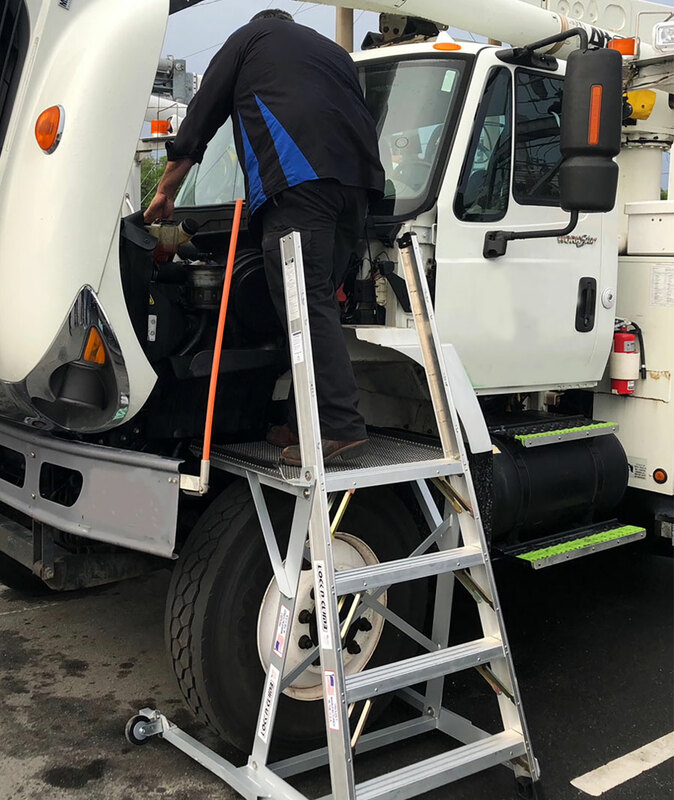 Ergonomic safety ladders to service any type of truck. 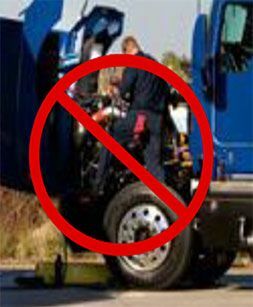 Meet or exceed applicable OSHA/ANSI standards. Designed to conform to truck exterior contours. Commercial grade wheels allow easy rolling. Rubber padding protects aircraft surfaces. Removable brass feet allow easy sliding on concrete. Made in the U. S. A. in Independence, Kansas. 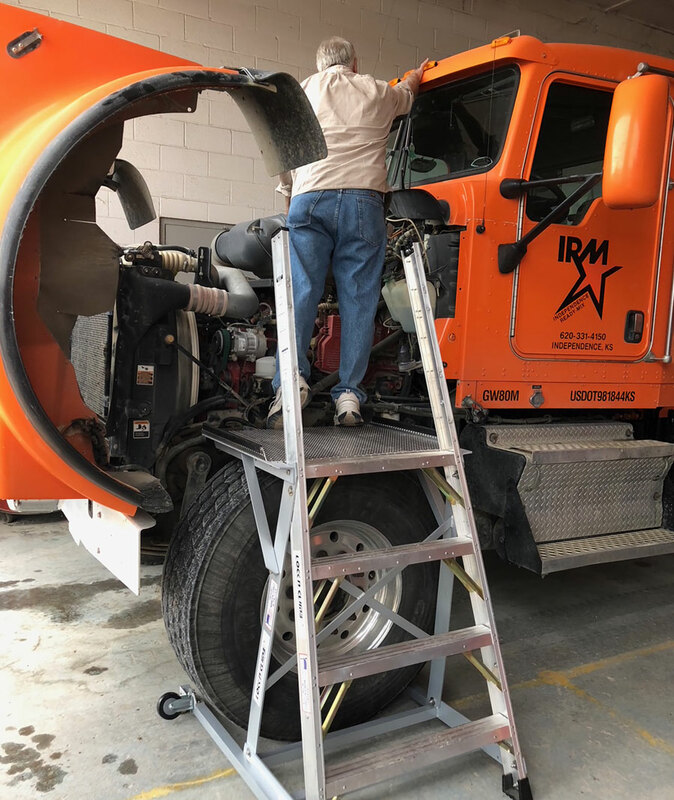 Preferred by many major truck maintenance centers. The 15MINISTAND has been designed to fit between the front bumper and the strut. The slip resistant aluminum plate provides comfort and safety. Standing on the 15MINISTAND increases working comfort and decreases the chance of foot thrombosis and accidents due to slips. Stable stand for engine maintenance service. Slip resistant surface helps prevents falls. Full foot support, reduces chance of foot thrombosis. Designed to fit between strut and bumper. Made of 6061 industrial aluminum. Exceeds OSHA and ANSI specifications. Field tested and designed by mechanics. 100% made by hand in the U.S.A. The DLLSTAND has been designed to slide quickly over the spring and drag link and fit snugly. The slip resistant aluminum plate provides comfort and safety. 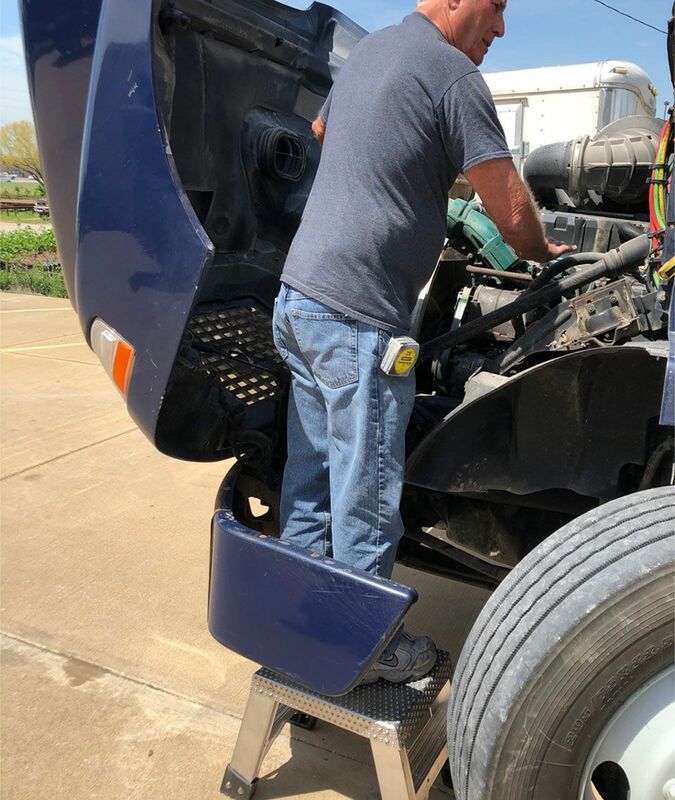 Standing on the DLSTAND increases working comfort and decreases the chance of foot thrombosis and accidents due to slips. Designed to fit between spring and drag link. 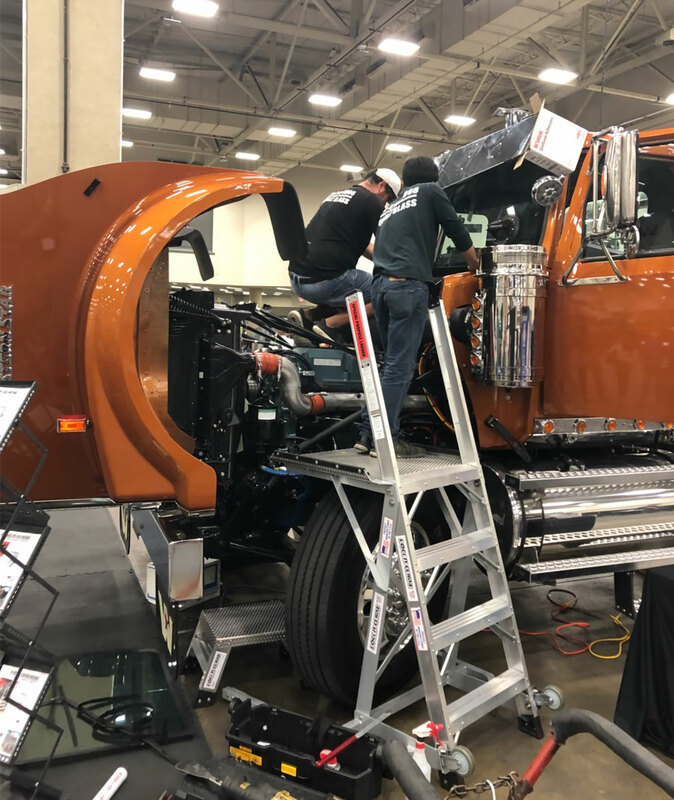 Exceeds OSHA and ANSI specifications, 500-lb rated. We custom engineer all of our products and manufacture them ourselves, too. We'd love nothing more than to craft one to fit your specific needs.